Flugfiske i Sälen - kurs med Fjälläventyr - boka ditt äventyr här! Give us 1.5 hours and we’ll make a fly fisher out of you! 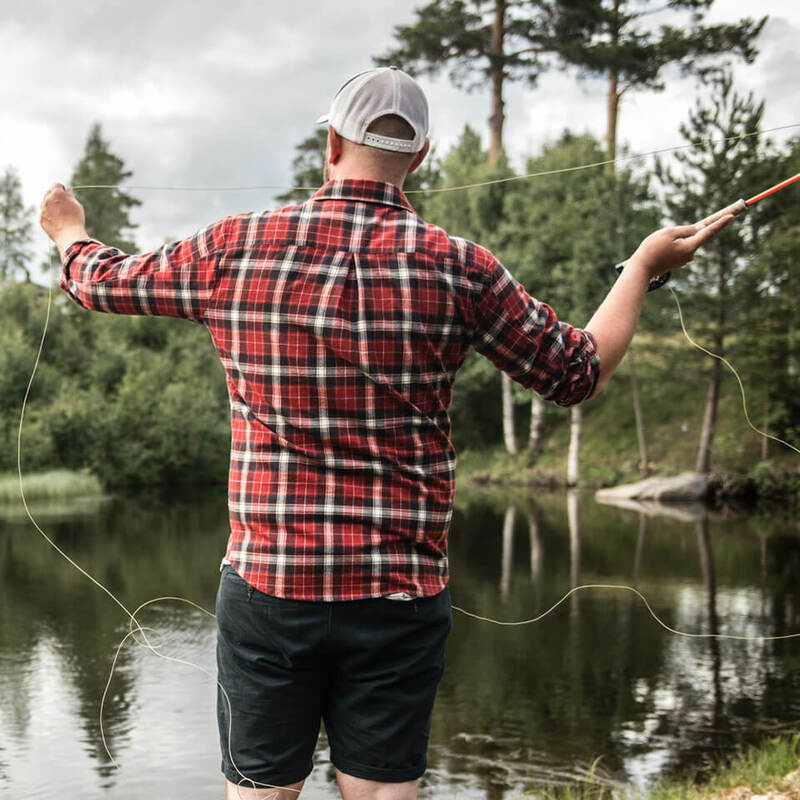 At our very own ponds in Sälen, full of combatable beautiful rainbow, we will give you a quick course in fly fishing’s exciting world. No prior knowledge or equipment is required – You will get the knowledge and equipment included in the course. Get a taste of the sport and you might want to join our longer training courses or trips. This is a great activity for the family, family or company. 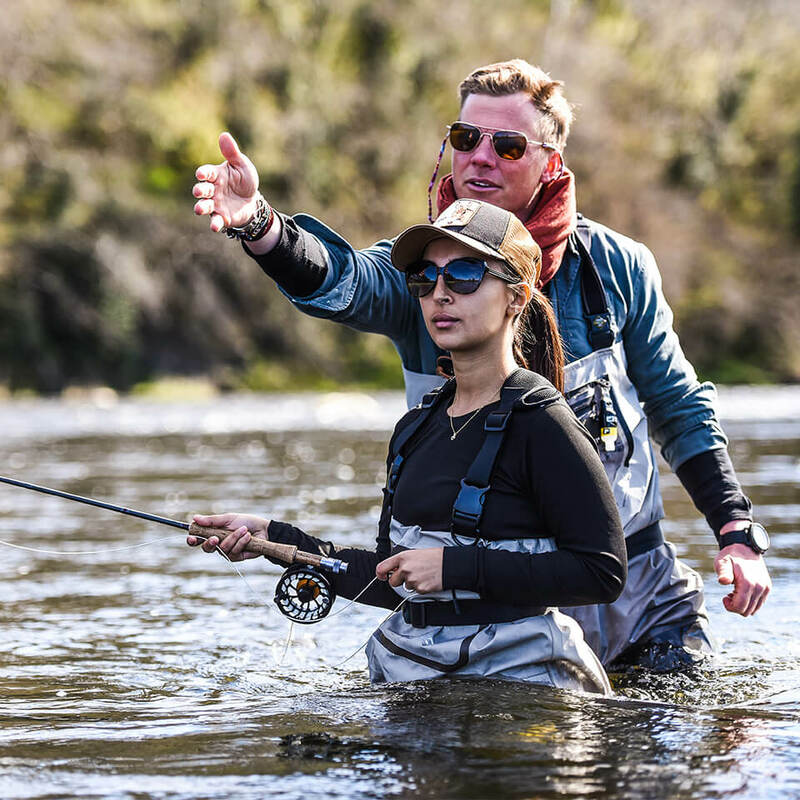 Getting right from the start of your fly fishing can be the big difference between finding your new great interest or feeling overwhelmed by terms and technology. We love to learn fly fishing, at a beautiful lake at the mountains or at a mighty salmon river. Welcome to your new life as a fly fisherman! Do we need any prior skills? None! This is a beginners course and you will get all necessary gear and information in the course. Make sure to wear or bring rain resistant clothing. It can get cold, so wear multiple layers. Use eyewear, preferably polarized and a cap for those miss placed hooks. Don´t forget repellent! Just what you wear and eyewear, preferably polarized and a cap for those miss placed hooks. Don´t forget repellent! We’ll try to adapt the course to suite any weather conditions. If it’s really bad we’ll try to reschedule. We welcome everyone from the age of 9. What about insurance and accidents? Fly fishing is at own risk. Please make sure that you have sufficient travel and accident insurance.